Golden straw color. Tropical aromas and flavors of honey roasted tropical fruits, peach cobbler, honeysuckle on a cedar trellis, and pistachio oil with a velvety, soft, fruity medium-to-full body and an effortless, complex, long finish that shows accents of apple and pear sauce, pineapples in coconut milk, and white chocolate brittle with well-integrated tannins and a suggestion of oak flavor. A delicious, big, tropical viognier with lots of varietal character. 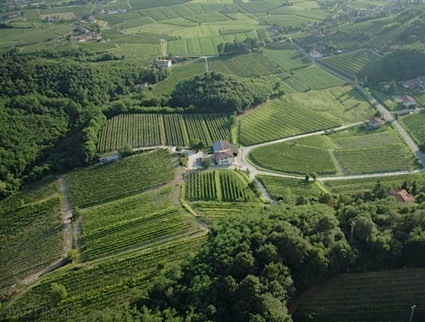 Bottom Line: A delicious, big, tropical viognier with lots of varietal character. 88 • Cunningham Creek Winery 2015 Cabernet Sauvignon, Virginia 14.5% (USA) $38.00. 94 • Cunningham Creek Winery 2017 Estate Grown, Viognier, Virginia 12% (USA) $26.00. 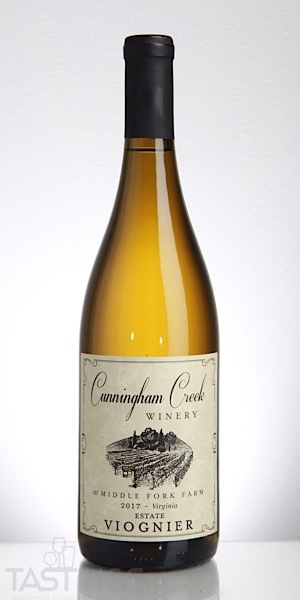 Cunningham Creek Winery 2017 Estate Grown, Viognier, Virginia rating was calculated by tastings.com to be 94 points out of 100 on 1/7/2019. Please note that MSRP may have changed since the date of our review.